A style of martial art that works regardless of your age or physical strength? From a dojo where there are no costly tournaments and trophies? From a sensei with a reputation that draws international experts to come and learn? Have plateaued in your form, and want to learn the techniques to decode the principles and power already present in your chosen style? Want to add pressure-point techniques and joint locks to improve the effectiveness of your current style? Want to work with a group who will never answer your questions with “it’s traditional”, but instead search for answers by analyzing and decoding the secrets hidden in your style. If any of these things are true, studying Ryukyu Kempo at Martingilio Martial Arts could be the right choice for you. Instead of just memorizing the movement, you’ll understand how and why each technique works. 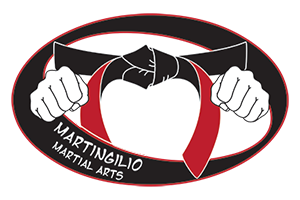 Ryukyu Kempo at Martingilio Martial Arts teaches effective fighting techniques that have been tested in actual combat by military, homeland security, teachers, security guards, and police officers. Our programs are appropriate for beginners learning their first martial art, and advanced practitioners looking to hone their craft. Individual attention ensures that no matter your level of learning, you will get the education that you need. Master Chris welcomes students of all backgrounds and abilities, and he has taught a wide range of individuals–from those with physical and cognitive impairments to active military soldiers looking for a leg up on the battlefield. Try a free class today! The martial art of the Ryukyu Islands (Okinawa) developed in private and in secret, and was not available to the public. Then, in the early part of the 20th century, karate (as it later came to be called) was presented in a sanitized and watered-down version by teachers who were accustomed to keeping things secret, and not at all inclined to share much of what they knew. As a result, what was once a fearsome fighting art, is today largely a children’s pursuit. Eight year old “black belts” proudly pose beside trophies taller than they, while parents watch and applaud. But, the karate these children learn is little different than the jazz/tap/ballet taught in the dance school down the street. Meanwhile, the old masters continued to guard their secrets, while time threatened the old knowledge with extinction. Though it outwardly resembles the martial endeavor practiced by so many in the world today, Ryukyu kempo is a powerful and effective self-defense system, that uses familiar karate movements in surprising and devastating ways. At the heart of Ryukyu kempo practice is the thorough understanding of kata. Kata are patterns of solo movement which contain fighting secrets passed down from the past. By analyzing the kata, once-hidden pressure point fighting techniques are brought to light. These secrets are then practiced in partner training to ensure that that ancient knowledge becomes modern reflex. 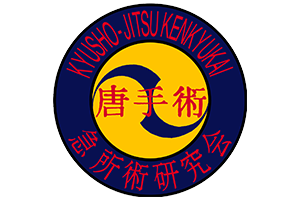 Ryukyu kempo has no sporting or competitive aspect. Practitioners do not care about trophies and do not train for tournaments. Instead, they train ancient warrior disciplines in order to become warriors for a modern world. This includes, not only having skills that can be used to defend oneself and others, but, acquiring through hard training, the inner steel to face all of life’s challenges. beginning or enhancing your training with weapons? learning knife, stick (baston), and open hand fighting? Learning to counter the counters, trapping hands, and baiting? Come and check out our Modern Arnis class! 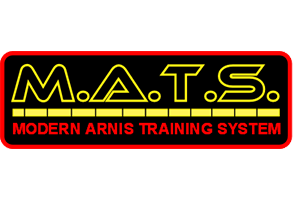 Modern Arnis is a Filipino martial art founded by Remy Presas and taught at Martingilio Martial Arts by Chris Martingilio with guest lectures by Tapi-Tapi master (and developer of the M.A.T.S. curriculum) Ken Smith. This class begins on the very first day working with weapons (baston), in coordinated pairs with other students. Almost all of the class is spent hands-on in drills and practice working on your technique, coordination, angles of attack, and counters to attacks. It is a style that focuses on speed and flow, applying traditional Filipino practice to modern day weapons like knives, guns, batons, and improvised weapons. This class is open to beginners and advanced students alike. Regardless of current rank, age, or fitness level, you will see benefits from Modern Arnis practice. Not only will you learn techniques to respond in self-defense situations, but you will immediately see an improvement in your dexterity and coordination. If you are interested in learning or improving on your stick and blade fighting, come over and try a class. All while learning effective, humane self-defense.The controlled movements of this martial art focus on strengthening the secondary, supportive muscle groups in the body as well as tendons and ligaments. This strengthening means that if you need to improve your range of motion, posture, core strength, joint flexibility, or just de-stress – Tai Chi is your ideal choice for a martial art. Tai Chi Chuan also offers a whole host of other wellness benefits that have been well documented by doctors, researchers, and universities around the globe. For example: check out this article from Harvard Medical School that describes tai chi as “medication in motion.” and this one from the Mayo Clinic which describes the health benefits of Tai Chi practice. The physical and mental benefits of Tai-Chi are undeniable, but there is another aspect to Tai Chi that is just as important, but often overlooked. Tai Chi Chuan, translated, means Grand Ultimate Fist! 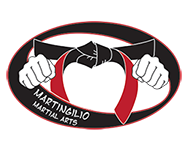 Unlike other schools, Martingilio Martial Art’s Tai Chi is taught for both wellness AND protection. While you are enjoying health and mental benefits, you will also be trained in using these same controlled movements for real-world, humane self-defense. This training will not only improve your confidence, but explain the reasons behind each movement and give deeper meaning to your tai-chi practice. You will not find a more complete Tai Chi program in the United States. Come see why masters from across the globe seek out training in Tai Chi from Martingilio Martial Arts. It’s getting a little scary out there: school shootings, workplace violence, shots fired and robberies are becoming more common, even in Wisconsin! Martingilio Martial Arts believes that every person deserves to feel confident that they can defend themselves in a dangerous situation. Are you interested in practical self-defense, but not sure where to start? Do you, your friends, your students, or your employees need training? Do you need a reasonably priced 1-day seminar that will teach you tested, effective techniques? Self Defense Rescripted is the choice for you! Self-Defense Rescripted is self defense re-imagined, re-envisioned, re-invented. Most self defense courses are composed of martial arts techniques which work only for skilled athletes. Instead, the rescripted system is built on a foundation of simple, natural actions that work regardless of your age or fitness level. This makes Self Defense Rescripted easy to learn, and empowering to know. You will learn how to use techniques to interrupt an attack, gain advantage over your attacker, and create an opportunity to escape. The basic self defense rescripted seminar is a 90 minute training which covers fundamental physical, tactical and strategic methods for self defense. This training can be tailored for an individual, small groups (get a group of friends together! ), schools (Chris has taught this system at Madison College and the Madison Metropolitan School District), and corporations. Chris can work with your time and budget to get you the training you need. Help yourself, your friends, your classmates, and your employees feel empowered and confident when they are faced with a dangerous situation. Kickboxing is one of the most effective workouts–combining cardio, strength and martial arts for a calorie-melting total body workout. At Martingilio Martial Arts, kickboxing is a non-contact workout using bags and pads for targets. The class combines the striking style of martial arts and basic self-defense elements with proven traditional fitness techniques like push-ups, jump rope, and core exercises. This unique combination provides a stimulating, engaging and highly effective exercise program that will leave you feeling energized and invigorated. This fitness program works your body in optimal ways to effectively improve your physicality and leave you feeling strong along with burning calories. With kickboxing, you’ll feel stronger, develop better stability and keep your body healthy while minimizing injury risk. Not only does kickboxing provide numerous physical benefits, but the class itself is engaging and will never leave you bored.Kickboxing provides an unparalleled fitness solution for any need, whether it be sport-related, losing weight or training for a marathon. Kickboxing also helps reduce and relieve stress. Its rigorous workout – controlled punching and kicking movements carried out with the discipline and skills required for martial arts – can do wonders for feelings of frustration or anger. We offer 30 minute Karate-do classes for children ages 4-6, and 90 minute Karate-Jitsu classes for ages 7-15. 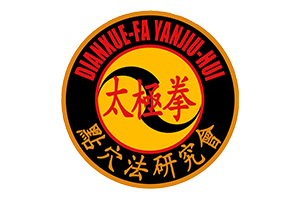 If you are looking for a program where a caring instructor gets to know your child as an individual, and helps them continue to develop as a martial artist all the way into adulthood, this is the place for you. Our students have a lot of fun, but we also take martial arts seriously! Lesson plans are developed by a nationally-recognized expert in the fields of self-defense who has years of experience training students in public and private schools across Wisconsin. Your kid isn’t going to be taught by a college kid just working a summer job. Your children will be taught by experts trained and vetted by international grandmasters. When a school district is looking for someone to teach their students serious self-defense, they call Master Chris. Skills that promote self-control, resilience, and physical health? Real-life self-defense in a safe and structured environment? Provide a safe and caring environment with individual attention. Develop programs that challenge and grow with your child to encourage their very best. Teach curriculum that focuses on practical self-defense strategies and traditional martial arts techniques. Accommodate children with a wide variety of special needs. Pricey birthday parties and summer camps. Showy techniques that aren’t effective in real-life. In the Karate-do program, Master Chris teaches coordination, dexterity, listening and behavioral skills. He emphasizes learning how to participate in group activities, follow directions, show politeness, and develop a love of martial arts. He keeps things high energy and fun, and the 30 minute classes are just the right length to help your child remember what they learned. In the karate-jitsu program, pre-teens and teens learn real-world self-defense in a safe and structured environment. Master Chris’s curriculum focuses on a deeper understanding of the kata and its history, an introduction to pressure points, effective self-defense, and leadership skills. Students will build lasting relationships with their classmates and gain confidence in their social skills. They are expected to speak in front of the class, assist classmates with techniques, give short demonstrations, and work through conflict respectfully. Master Chris demands politeness, respect for parents and teachers, attention to homework, and good behavior in school from all of his students. Interested in private or semi-private instruction?